If you've ever purchased a posters or prints, you know they're not cheap. If you really want to save money on wall art, the place to go is your local copy center. Here's why. Recently, a single painting—Georgia O’Keeffe’s Jimson Weed/White Flower No.1—sold for a record high of $44.4 million at Sotheby’s. That is, of course, a staggering sum. But even for those of us content to own anonymous prints and not original works by cultural icons, art can seem astronomically expensive. With money saving in mind, you might have visited your local copy center to inquire about the fees charged for photo enlargement. After all, how much could it cost to have a favorite photograph blown up and printed on quality paper? Well, as you would have found out, it usually costs a whole lot more than expected! It’s all so head-scratchingly frustrating. That’s why so many people have gotten so excited about engineer prints. Never heard of them? Here’s the skinny. Simply stated, an engineer print is a low-cost, black-and-white photo enlargement option at your local office supply store or copy center, including chains such as Staples and Kinko’s. The name refers to its most common use, in the architectural and engineering professionals. But this year, the rest of the world caught on, in large parts thank to these prints’ affordability. For about $10, you can get any photograph blown up to the gigantic proportions of your choosing. Before you run to get one, understand this: An engineer print is not a photographic reproduction. The paper is thin, similar to weight of newsprint, and the print process is halftone black and white. With a resolution around 600 dpi, you end up with something more similar to a photocopy than a photographic print. That said, many people are fond of its imperfection, and if you get a little experimental in your photography, an engineer print can look downright artsy. 1. Choose a photo without a busy background, since details are most likely to get lost in the grainy reproduction. Higher resolution photographs end up being less grainy, so if you’re shooting new photos for the purpose of achieving a satisfying engineer print, set your camera to its highest level of resolution. 2. Having imported the photograph from your digital camera to a computer, use photo editing software to convert the photo to black and white. In the color settings, play with the contrast and brightness until you’re happy with the the image. 3. Decide what size you would like the engineer print to be. Consider the size of the wall you’re going to hang it on. Also, weigh whether or not you plan to hang the print. The larger the frame necessary, the more it’s going to cost. There’s no sense saving money on a print if you’re going to spend a boatload on its frame. 4. Visit the copy center and hand off your image(s) for printing. Options abound. 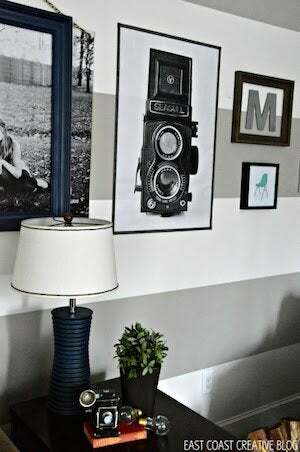 If you decide not to frame the print, you can always mount it on a plywood backing, propping it up on a shelf or mantel. You can even split a larger image into sections, printing them out as separate panels to display next to one another, mural-style. 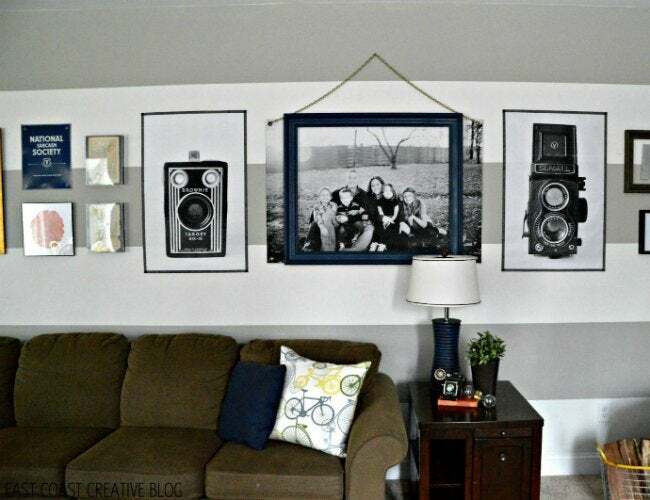 Yet another creative idea: Skip the wall entirely and decoupage the engineer print onto a large piece of furniture. The price encourages experimentation and no-regret replacements when the season changes, or your mood does. No matter where you put the print, it’s bound to command attention and start conversations. What are you waiting for?